Now in its 26th edition, Propack Indonesia – Jakarta, is a vital Far East fair that showcases all the latest in processing, packaging and printing. The exhibition space set aside for Sacmi (9 m2 inside the collective area organised by UCIMA, the Italian Union of Automatic Packaging Machine Manufacturers) will allow visitors to get a close look at the beverage & closures solutions with which the Group is leading the world – solutions containing outstanding process innovation for enhanced reliability and productivity and optimised energy consumption. At Sacmi, innovative solutions mean cutting-edge compression technology. It’s on this front, in fact, that Sacmi has, as of 2013, been providing the market with the innovative enhanced cooling system, COOL+, which drastically reduces both process time and energy requirements while boosting quality. Installable on the entire CCM (Continuous Compression Moulding) range, this solution significantly reduces cap cooling times and, consequently, overall cycle times, thus boosting productivity by up to 50% and improving the performance of the entire system to provide results in terms of competitiveness that are, at present, beyond the reach of the competition. As of this year the same CCM is also equipped with an innovative displacement pump that optimises oil circulation to maximise process efficiency and so minimise consumption. 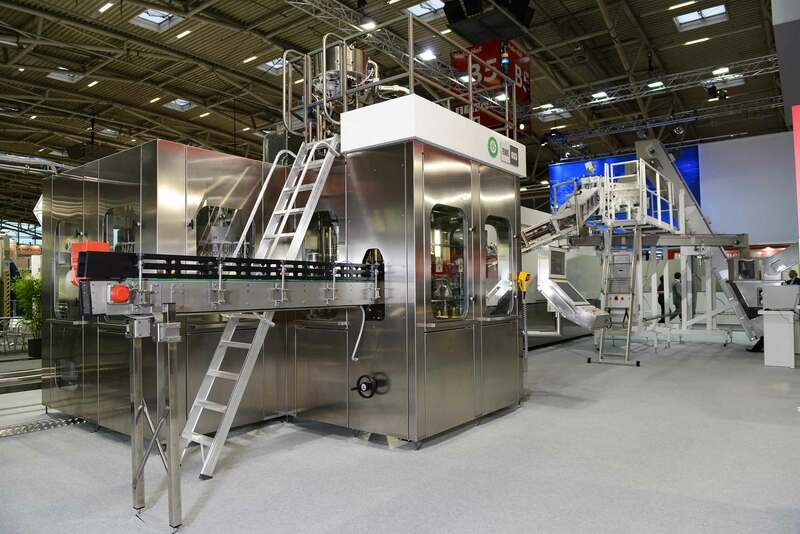 The top of the range, then, from Sacmi Beverage, which for years now has been providing integrated turnkey plants that allow manufacturers to go straight from raw materials to bottles in a single step. Very few global competitors are capable of leading the way in several business areas and technologies and even fewer can count on at least 20 years’ manufacturing experience in this sector. Sacmi, instead, is in a league of its own. 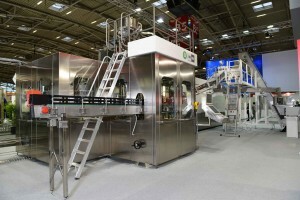 For example, the innovative IPS, the preform production machine that uses injection technology, features, among other things, a groundbreaking extrusion process with continuous feedback that practically eliminates potential defects; then there are a series of energy recovery/saving solutions beginning with the preform outfeed station where the kinetic energy of the carousel is recovered during deceleration and converted into electricity. And let’s not forget the labellers made by Sacmi Verona, which include their latest ‘brainchild’, the Formsleeve+, previewed last March: more versatile design, more flexible material selection and control and, moreover, so efficient that it reduces plastic reel costs by up to 20%.Thus the very best of Made-in-Sacmi technology will play a starring role at Propak Indonesia, a key fair that, in 2012, attracted no less than 12,000 visitors and 665 exhibiting firms from 30 countries, Italy included. Sacmi will also be represented by its sales and after-sales assistance services which cover five continents and provide customers with close support right from the design stage.